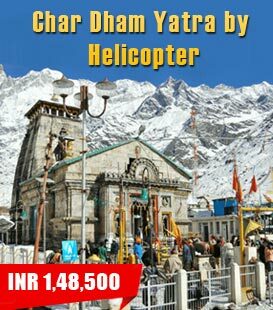 Located in the state of Uttarakhand, on the way to famous Badrinath Dham, Hemkund Sahib holds significance for both Hindu and Sikh pilgrims. The picturesque Lokpal Lake, located at a height of 4329 meters above the sea level, is known as Hemkund. Sikh pilgrims consider this place sacred due to the presence of a famous Gurdwara positioned in the heart of the region. While according to the Hindu mythology, Lakshmana, the younger brother of Lord Ram, meditated to regain health after being severely injured by Meghnad. 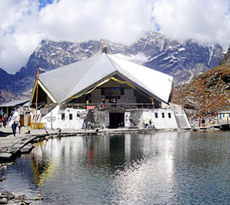 His temple is built on the banks of Hemkund. The lake can be reached through a challenging yet enjoyable trek from Ghangaria. As per the account of Guru Granth Sahib, the tenth Sikh Guru Gobind Singhji meditated on the serene banks of Hemkund in his earlier birth. The place where Guru meditated is the site of the present day Gurudwara. Every year thousands of Sikh pilgrims pay a visit to this place.